Everything is fast in a fast-food restaurant. The sketch below was done with particular speed. I probably had no more than one minute before mother and daughter decamped. 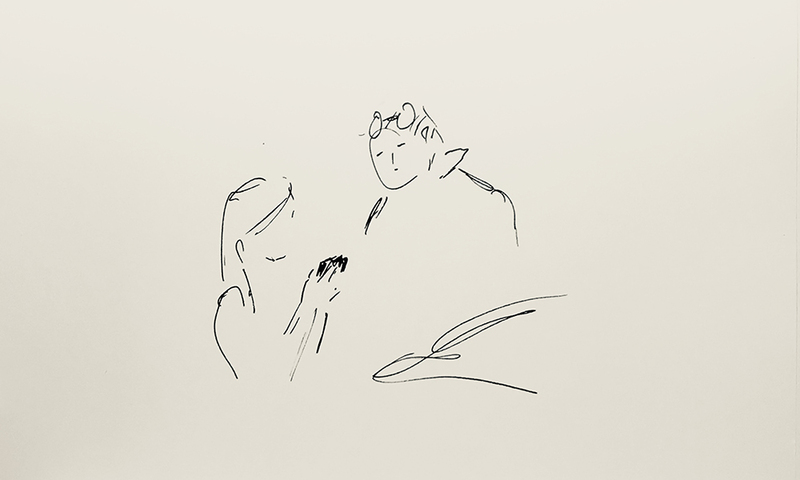 This entry was posted in Personal Stories and tagged 1 minute sketch, art, artistic expression, creativity, drawing, fast food, pen and ink, portrait, sketch, visual art. Bookmark the permalink.